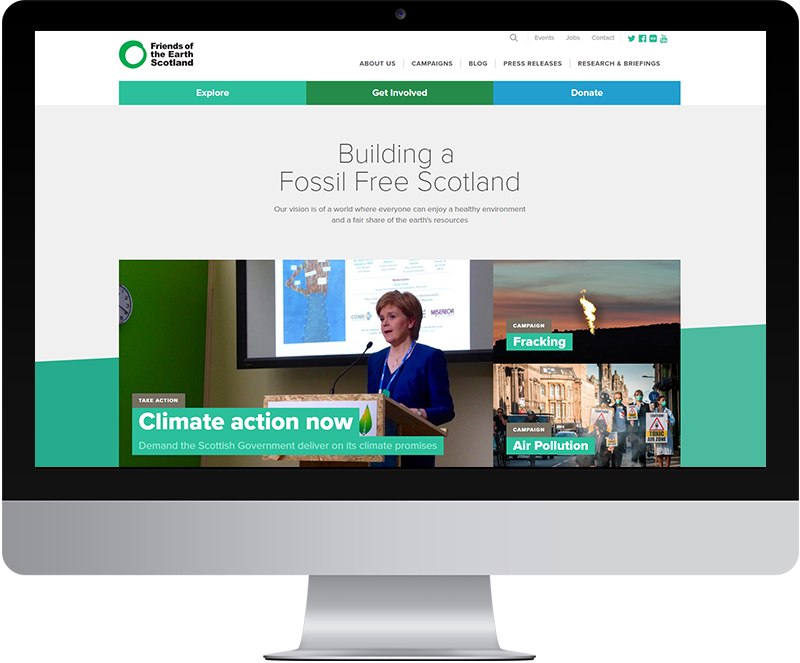 Friends of the Earth Scotland are Scotland’s leading environmental campaigning organisation. They campaign for a world where everyone can enjoy a healthy environment and a fair share of the earth’s resources. Working closely with John Ellis (http://www.eoncreative.com/) who supplied the design and the FoES project team we helped to plan the website content and structure and implemented a full technical rebuild using WordPress as the CMS.